When it’s time to memorialize a loved one near your Cleveland, OH, home, you want to know you’re getting the best quality headstone for the best price. 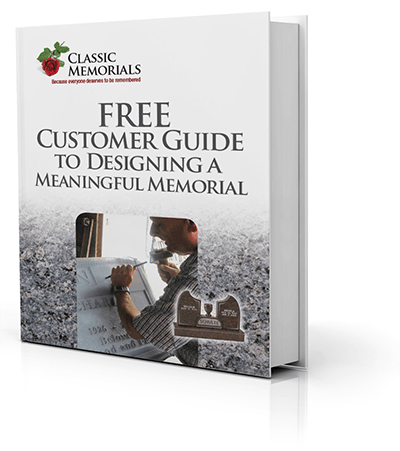 Classic Memorials understands what you need when you’re looking for an amazing cemetery monument, and our Certified Memorialist® is capable of delivering the best. A life well-lived is worth remembering, and we’re here to help you honor the best of the cherished life. The beauty of life is found in the uniqueness of every individual, and capturing that unique spirit and essence is what we strive for every day. Let us help you create a tombstone that’s more than just a lifeless marker. It should be a touchstone for a vibrant life. What makes Classic Memorials unique? Our heritage, as found in our president, Val Konstantinovsky, one of a handful of distinguished Monument Builders of North America Certified Memorialist®. Val is a fourth generation monument artist who brings not only an artist’s eye and 45 years of finely-tuned talent, but also strict quality control measures to ensure every headstone is a true piece of art. Our satisfied customers will testify to the unfailing attention to details and expert craftsmanship, resulting in a beautiful finished product that captures a life lived to the fullest. Our goal is simple: we work until it is perfect and our customers are pleased. With our firm standard of excellence as a hallmark of our trade, you’re sure to be pleased with the way your loved one’s life is portrayed with exquisite detail, conveying the precise personality and values for generations to come. Having a specially designated place to reflect upon a life and a heritage is of inestimable value. We’re proud to be locally owned and operated out of Cleveland, OH. Providing top-quality monuments, signs, memorials, benches and repair services to our friends in this region has been a fulfilling life’s work. Like you, we love the West Side Market in its unique setting and just grabbing a gyro or pho to enjoy for the day. This is a great place to live with unlimited opportunities and rich diversity! Ready to talk about choosing the right headstone or monument to memorialize an important life? We’re ready to help you make the tough decisions. Call us today at (800) 278-8523 or email us and we’ll schedule an appointment to get to know you and your loved one. Trust Classic Memorials to treat your monument needs with dignity and talent to provide just the right product to honor a precious life.